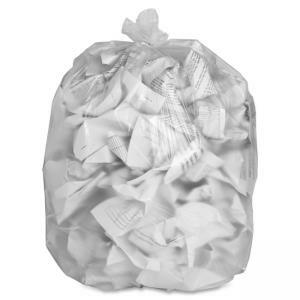 Trash bags are made with high-density, 10 micron thick resin for greater puncture-resistance. Ideal for office or light industrial waste. Star-bottom construction on the can liners is designed for more even distribution of contents. Interleaved, coreless rolls dispense bags one at a time.